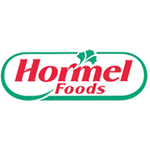 Hormel Foods | Favorite Foods, Inc.
At Hormel Foods, we strive to bring more to the table for customers, employees, consumers, shareholders and the communities where we live and work. In 1891, George A. Hormel founded Hormel Foods in Austin, Minn. While we are proud of those small-town roots, we are excited as we continue to bring our iconic products to the global market. For more than 125 years, Hormel Foods has brought innovation, beloved brands and outstanding value to our consumers, customers, communities and shareholders. We are proud of this milestone but are motivated by our future. We remain focused on our purpose statement: Inspired People. Inspired Food.™ by building on our founder’s legacy of innovation, quality and integrity. Our belief is that good business and good stewardship go hand in hand. We Invest in our people and partners, we aim to improve communities and the world, and we create products that improve the lives of our consumers. Bringing high-quality branded products that are flavorful, nutritious and convenient puts us among the most trusted and well-known food companies in the world. Making sure those products have an extra helping of inspiration is what sets us apart. Over 30 of our brands are No. 1 or No. 2 in their categories and our products are marketed in more than 75 countries, including China, Japan, Australia, South Korea and the Philippines. We have continued to grow our family of brands with the recent additions of CytoSport, Applegate and Justin’s and more recently Columbus, Fontanini and Ceratti. Adding these companies to our existing broad portfolio of iconic brands keeps our company strong and on trend with today’s consumers. Being a leading corporate citizen is important to us and is reflected in the many initiatives we support. In 2016, we contributed $11 million in cash and product donations to philanthropic areas such as hunger, education and local community support. We’re proud of the difference we’re making in our world and pleased that others are helping us share our story. For example, we received a perfect score on the Human Rights Campaign’s Corporate Equality Index, were named one of the 100 Best Corporate Citizens by Corporate Responsibility Magazine and we ranked in the 50 Best Companies to Sell For list by Selling Power Magazine.